Hear from AANP member Becky Elder, CRNP, on her experience advocating for vaccinations with Shot@Life. The Ugandan nurse educates new mothers about newborn care as they wait for their infants to get vaccinated. 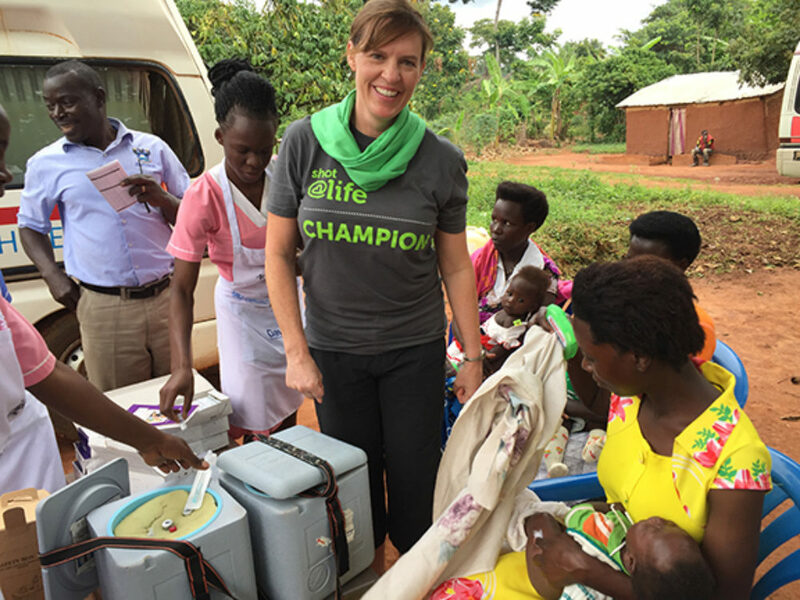 “Time spent in Uganda painted a picture of hope—of mothers who dream of giving their newborns a ‘shot at life.’ They can travel miles by foot to see that their newborn is immunized against two of the three top killers of infants in sub-Saharan Africa: diarrheal disease and pneumonia. Health care clinics are designed without walls and in the open space of someone’s front yard, where people wait for hours to get the Rotavirus vaccine that was just launched in 2018. They can also get the life-saving Pneumovax at the same visit. In fact, newborns in Uganda get seven vaccines at birth. With frequent power outages, safe vaccine storage is very important. The boda boda delivers vaccines to the Ugandan frontier. “Uganda has made great strides in vaccine administration, attaining rates that are on par with many developed nations. However, many vaccine delivery challenges still remain, including the cold chain to get the vaccines safely out into communities. A big part of this is not only having safe, effective plans in place but back-up plans as well, such as generators or solar powered refrigerators that can save vaccines during a power outage, which can happen all too frequently. Another challenge is in delivery of the vaccines, particularly the increasing cost of gasoline needed to fuel the boda boda, or motorcycle taxi, for long-distance travel to remote villages. “The fertility rate has decreased from 7.00 births per woman in 1970 to 5.2 in the last year, but the population continues to explode. The need for health care workers who are educated and trained to deliver these life-saving vaccines to the communities is an ongoing challenge. Uganda’s educational structure is much different than in the U.S., and the different health care workers include midwife (three levels), nurse (two different levels) and nurse’s assistant. The average health care worker earns less than $2 per day in Uganda. The country has launched a new level of training and is trying to improve education by designing a program specifically for nurses’ assistants, which will include nine months of training specific to their position. Even still, there are not enough medical providers in Uganda to keep up with the population growth. Many of the printed immunization records are in English, which may be problematic in outlying areas where locals speak only in their native tongue. "Many members of the population are able to speak and read English, but in many remote areas of the country, people speak in their native tongue. The immunization cards and educational materials are all written in English, but these parents are unable to follow the growth curve of their children and are unable to read the immunization card to recognize when the next vaccine should occur. A Ugandan mom holds her infant while the pneumovax vaccine is given. 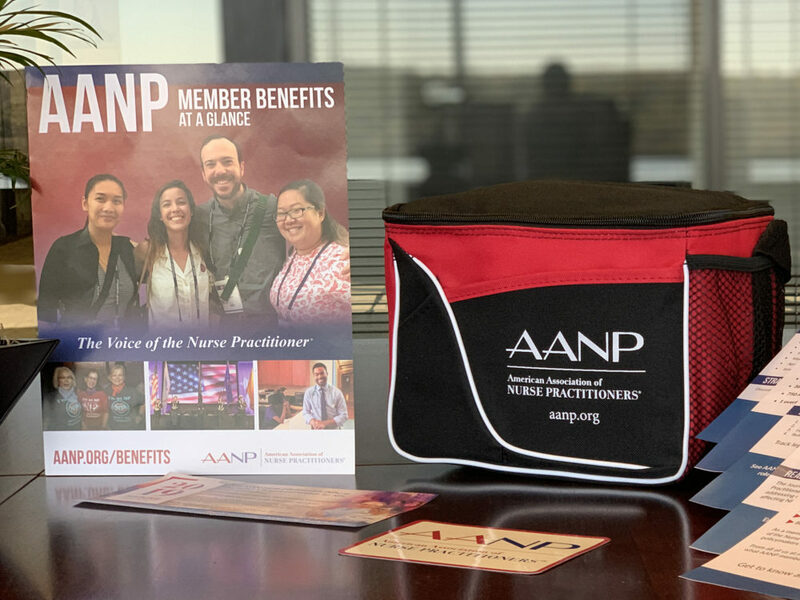 The American Association of Nurse Practitioners® (AANP) has partnered with Shot@Life, a United Nations Foundation advocacy group, to educate the public, lobby members of Congress and advocate to maintain global health care spending. 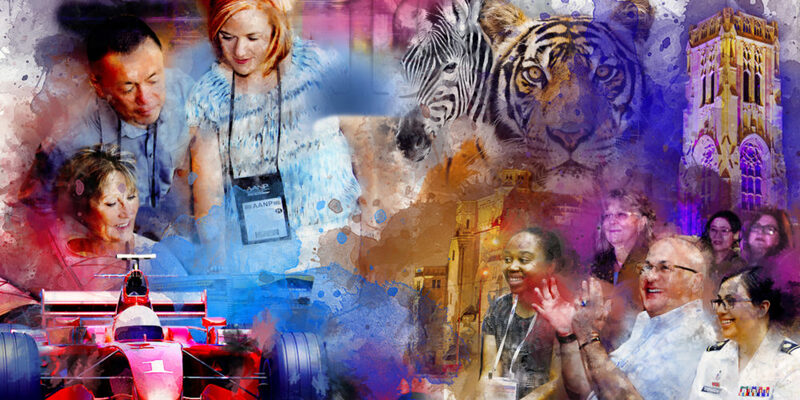 Learning more about the Shot@Life Champions campaign by taking one of the online training webinars or by joining the online Champion Community. Together, we can help curb vaccine preventable diseases and ensure all children have access to life-saving vaccines. Thank you to Becky Elder for her invaluable assistance with this article.